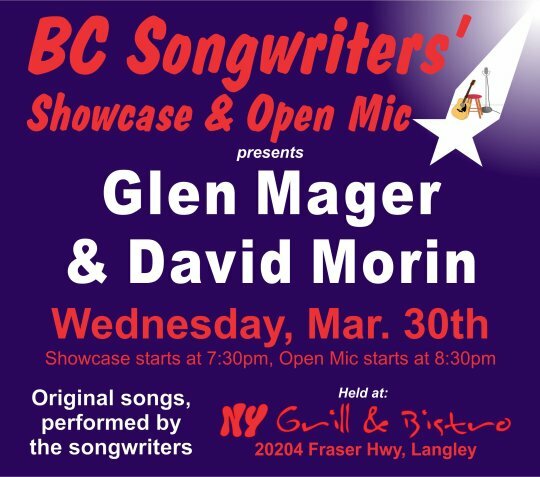 On Wednesday, March 30th, the BC Songwriters’ Showcase will feature Glen Mager & David Morin… starting at 7:30 pm. Open Mic starts at 8:30 pm. Put your name on the sign up sheet (in person only) as early as possible, to save any disappointments!